Jammu and Kashmir Chief Minister Mehbooba Mufti has met PM Modi over preserving Article 35A. Srinagar: Before the contentious issue of Article 35A is heard by the Supreme Court next week, calls to safeguard the article which defines permanent residents of Jammu and Kashmir and prevents non-locals from buying and owning property in the state is growing in the state. The issue is bringing political parties together with opposition leader Omar Abdullah demanding a special session of the assembly to frame a response on the issue. "Any alteration to article 35A will have serious ramifications. In this situation, it's in the fitness of things that state legislature discusses it," said Nasir Aslam Wani, Senior National Conference leader. An NGO has challenged the Presidential Order of 1954 and Constitutional validity article 35A on the grounds that it violates fundamental rights of people. 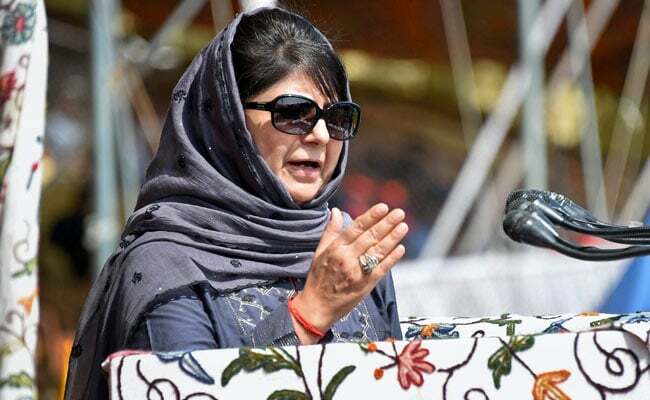 Last week, Chief Minister Mehbooba Mufti met with Prime Minister Narendra Modi and sought an assurance from him about safeguarding special status of the state. But the Centre has yet to file its response before the Supreme Court. Senior BJP leader Yashwant Sinha, who is on a peace mission in the Valley, told NDTV there was palpable unease among the locals and he would try to meet the PM to apprise him about the situation. "This particular development has caused deep disquiet. People are very concerned about this and we did our best to assure them," said Mr Sinha. Legal experts say while the Supreme Court upheld the constitutional validity of article 35A way back in 1962 and in subsequent judgements, it is up to state and the central government to defend the case.